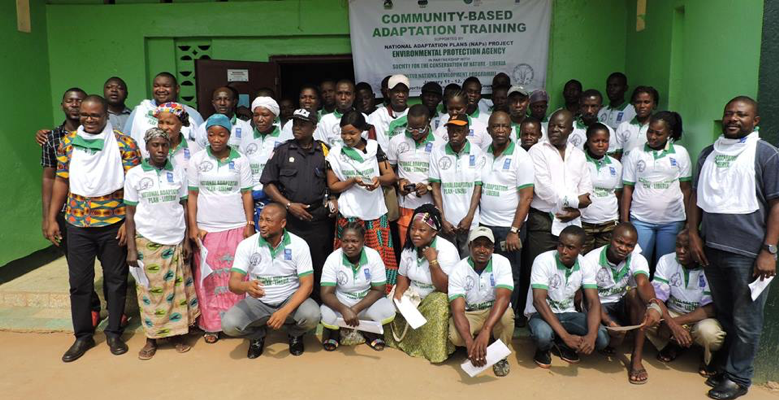 Monrovia – Liberia has officially launched the National Adaptation Plan (NAP) project to take new approaches in addressing impact of natural disasters. As part of efforts to robustly tackle the issue of climate change, the government along with Green Climate Fund launched the NAP project Friday in Robertsport, Grand Cape Mount County. The project, being implemented by the Society for the Conservation of Nature (SCNL), is funded by the Green Climate Fund through the United Nations Development Program and the Environmental Protection Agency (EPA) of Liberia. EPA Deputy Executive Director Randall Dobayu described the launch of the project as a milestone to ensure the implementation of the NAP for Liberia. Dobayu said the EPA will work along with the SCNL and the UNDP for the realization of the project. “We have to adapt to the issue of climate change because you see the coastline is experiencing serious marine transgression and to avoid us losing our land to the Atlantic Ocean, we must create more awareness,” he said. “We are going to offer the Master’s of Science in Biodiversity and Climate Change, Environmental Science and Environmental Management. 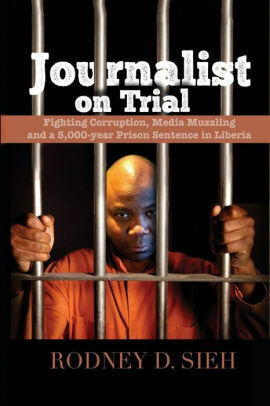 We have gone 90 percent with the program,” he disclosed. “Under the NAP, we were able to establish environmental clubs in various high schools and we were also able to send 12 Liberians to Israel to learn various trainings in biodiversity, climate change and environmental management. We also train farmers in using climate smart materials,” Dobayu further explained. Also speaking, SCNL Executive Director Michael Garbo said the project will be carried out in Grand Cape Mount, Margibi, Grand Bassa and Montserrado Counties. Garbo said at least 40 peer educators are expected to be trained in each of the targeted counties with incentives to provide education on the importance of the project. “People are getting the information well and they are coping with the way we want to work to gather by planting trees and cleaning their environment,” he said. He stated that the project will be gender sensitive and that each tree that will be planted will be named after those planting them. The Coordinator of NAP project at UNDP, Abraham Tumbey, said the National Adaptation Program of Action, from which came the NAP, was used to identify the immediate and urgent priority of Liberia and now that it has elapsed, there is of need to develop as immediate and longtime plan for Liberia climate sector. “We were also able to conduct vulnerability and risk assessment of the coastline especially the southeast to understand the issue of climate change affecting various sectors including agriculture, fisheries, and take action that would address impact of climate change on those sectors,” Tumbey stated. As part of the project, several coconut trees were planted in honor of key individuals and institutions, including President George Manneh Weah for their support to the implementation of the NAP project. Other named after the planted trees are EPA Executive Director Nathaniel Blamah, National Disaster Commission Executive Henry O. Williams, UNDP Residence Representative Pa Lamin Beyah and his Deputy, FDA Managing Director C. Mike Doryen and Police Inspector General Patrick Sudue.